The lymphatic system is an extensive drainage network that helps keep bodily fluid levels in balance and defends the body against infections.. While the circulatory system moves blood through our bodies, the lymphatic system moves about 50% more fluid than the venous system. The role of the lymph system, supplying plasma rich protein to the blood and carrying away toxins, protects the body against bacteria, viruses and fungus. 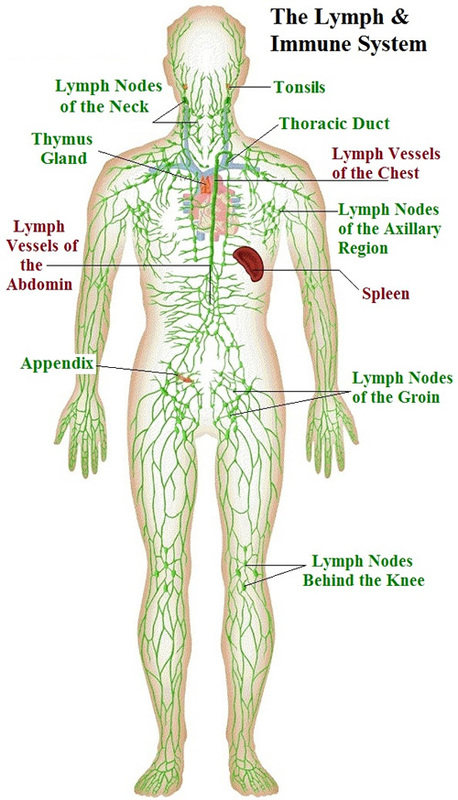 There are over 600 lymph nodes located throughout the body and most chronic diseases occur at these nodes—collection sites at the junction of lymph vessels. An impaired lymph system can result in colds, flu or sinus issues, swelling, heart disease, fibrocystic or tender breasts, enlarged prostate or other types of inflammation. Swelling is often due to trapped intercellular fluid as lymphatic thread-like vessels swell beyond their capacity and cannot pass lymphatic fluid through the system. Since an average human has nearly 3 gallons of this fluid circulating nutrients and disposing of wastes, the swelling can cause pressure, pain and discomfort. Treatment can help unblock the lymph system, assisting in the restoration of good health or providing relief from symptoms from blockages. 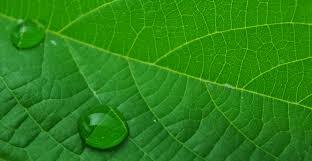 Lymphatic massage has long been used to help coax blocked fluid along, but now Electro-Lymphatic Drainage Therapy (ELDT) brings a gentle, light-touch and non-invasive technique to stimulate the proper flow and drainage of the lymphatic system. ELDT uses a wand, combining light and sound vibrations with an electric-magnetic field, exciting electrons and providing radiant energy; this energy is released into living tissue, encouraging the discharge of liquid from trapped vessels and nodes. 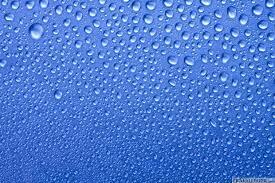 As stagnant liquid flows again through the tissues, swelling subsides, relieving pressure and pain as the body resumes normal lymphatic flow. A treatment lasts about 30-40 minutes and is relaxing. The patient lies on a treatment table while the therapist passes the wand over the body, lightly contacting the skin. A slight buzz sound is audible and the sensation of the wand and waves passing over the skin is peacefully blissful with a soft tingling sometimes felt in the skin. The therapist may also use two poles of a micro-current stimulator, to direct lymph along the limbs and torso, delivering a frequency-specific signal that stimulates the immune system via the lymphatic system, increasing circulation, proper elimination, detoxification and cell nourishment. Elena Del Castillo, certified in Lymphatic Decongestive Therapy, has been working her ELDT magic at The Alternative Medicine Center. Having had treatments from both, I can personally vouch for the therapy’s effectiveness in relieving pain. Like most, I have my share of inflammation from past injuries and I have personally felt the benefit of ELDT. We are pleased to offer it as part of our holistic therapies at The Alternative Medicine Center especially because it assists in the treatment of so many symptoms caused by inflammation, ranging from chronic fatigue and fibromyalgia to arthritis and migraines. As a complement to the decongestive therapy, we recommend following a treatment with a 20-minute Infra-red sauna session so any toxins moved by the regenerated lymph flow can be removed from the body in a high-heat cleansing sauna. During the month of February, we will offer the infra-red sauna for ½ price when used in conjunction with Electro-Lymphatic Drainage. Our holiday gift to you, supporting your pledge to healthier YOU in 2017! Look for the article on Electro-Lymphatic Drainage Therapy in the February issue of Natural Awakenings Magazine! What health conditions may be improved with Electro-Lymphatic Drainage Therapy? and helps in weight loss. Complimentary far infrared sauna or foot bath with first lymph treatment.